I almost missed this. Yes, this week has been full of distractions. 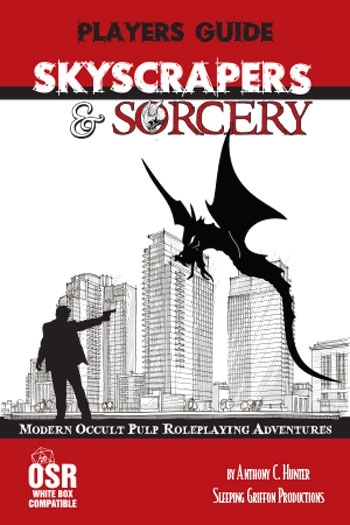 The Skyscrapers & Sorcery White Box Rules Players Guide is the player's side of the Skyscapers & Sorcery rules. Lots here to use in your OSR campaign if you enjoy taking your fantasy further afield. This contains all of the player pertinent information, everything from the core book except the Referee's section and the starting adventure.